This is how the best organizations nail board meeting preparation; with software designed to ensure they are prepared for every meeting. Board meeting software eliminates the task of organizing the who, what, when, where, how of a meeting. From within the agenda, the date, time and location are always on display. The meeting roller chronologically keep track of your meeting dates, so every director immediately knows what is coming up, whether it’s the quarterly loan committee or the next board meeting. Always achieve a quorum by having directors’ RSVP from within the software. A list of who will attend and their bios are on display. You’ll know if a key member can’t make the meeting. Board meeting software ensures the basic steps of organizing the meeting are seamless and hassle free. It removes an endless email chain. Board secretaries will save time not having to keep track of every director. Instead, that effort can be devoted to enhancing meeting preparation. Board meetings can be expensive and difficult to organize. Any meeting without a substantive discussion topic is a wasted opportunity. 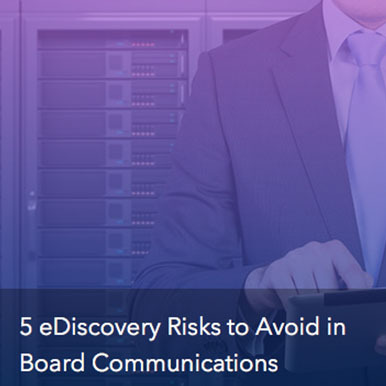 Board meeting software enables organizations to seamlessly build and distribute the agenda to directors faster than paper, and without jeopardizing their business with lack of security in emails. It keeps your organization compliant before, during, and after every meeting. Directors that have their board information sooner have the time to do an honest and thorough review of its content. A central advantage of board meeting software is keeping your directors informed with the latest materials, no matter where they are. It allows organization to put out an agenda and seek feedback on whether the meeting is substantive and future looking. It also provides your directors an opportunity to seek additional information. 2. Updates can be made throughout the process without hassle. The board book isn’t held up by the absence of the latest update from Business Development. Directors won’t receive a data dump and miss critical items. It keeps the process moving in a manageable stream of information. Crucially, this feature allows directors time to communicate about upcoming votes, and to think and discuss among themselves what important items must be addressed. 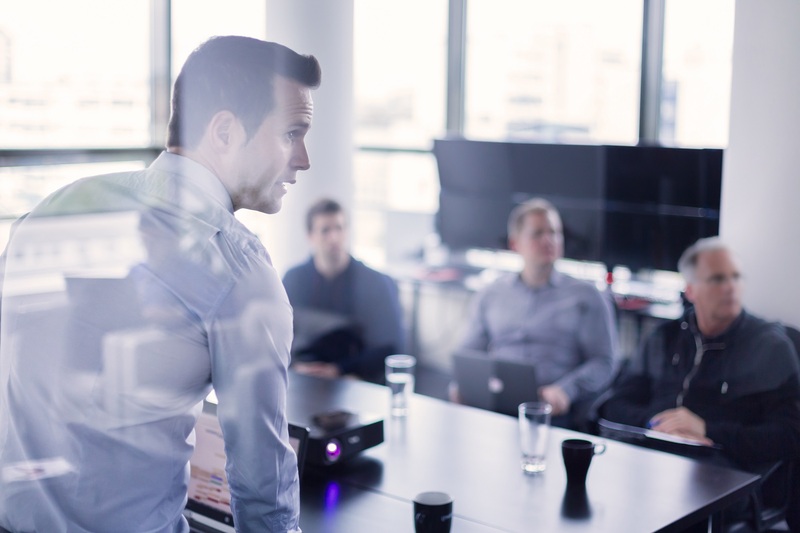 When directors have the time to review and collaborate around a clear and focused agenda, the advantages are felt throughout the organization. It sets the expectations, it allows members to utilize their time to make critical decisions and offer a clear and informed perspective. With board meeting software, making changes to your agenda occurs in real-time so everyone’s digital board books are immediately synced up. Your meetings are ready to run as soon as the chairman calls the order. 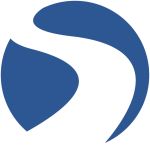 A comprehensive resource library contains all the company’s critical documents. Every meeting is archived, the bylaws are always available for review, and importantly, the company is always compliant. When the meeting is called to order, you’re ready. Every note you’ve taken can be navigated to within seconds. You’ve received every item in a timely manner. You can reference every supporting document necessary. 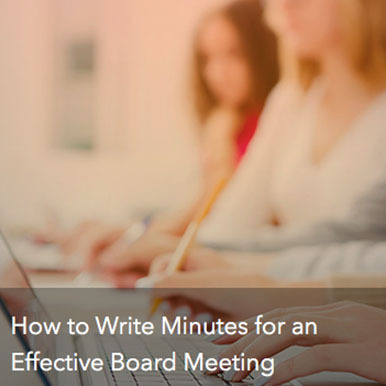 You’ve nailed meeting preparation with board meeting software. ● Agenda items begin to be submitted for review. ● Directors begin to RSVP. ●The entire board book has been submitted, critical votes are added. ●Directors begin review of material and begin taking substantive notes. ● Directors complete their review. Ensure any questions have been noted. ● Directors review any last minute changes that have been submitted through their in-app announcements. ● Rest for a day, the next cycle begins shortly! Board meeting software establishes the perfect environment in your board meeting, so you can use the board room for meaningful discussions. The board is now prepared and has time for rigorous, expansive, dialogue. Not simply a discussion, but wide-ranging and creative dialogue about strategy, results, and the future of the organization. Wondering about where to start with the board meeting software? OnBoard makes board meetings easy. It’s the world’s most intuitive multiplatform digital boardroom solution. Built with a powerful yet minimalistic design. 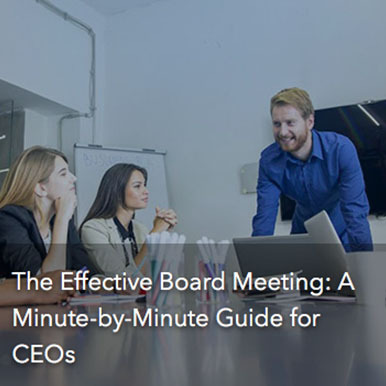 OnBoard removes the stress of board meetings so you can focus on your business. Give us a call to see how building an agenda is a simple and engaging process. We’ll have a board book ready for your next meeting.